assault center providing a safe place for victims to heal and to plan their future. SafeSpace is a non-profit organization helping victims of domestic violence. SafeSpace operates modern shelters in Indian River, Martin and St. Lucie Counties where families can escape to a safe environment. There are rooms for families with children and babies, kitchens, playrooms, meeting rooms, and facilities for safeguarding you. Call 1-800-500-1119 if you need domestic violence help, whether you need “SafeSpace” housing or just someone to talk to. Another Way offers counseling, support, and safe shelter to survivors of domestic and sexual violence while providing a positive alternative to violence through community education. Their mission is Every Relationship Violence-Free. They work to ensure safety for victims and their children, empowerment of victims, and social change through education and advocacy. 24-HOURS A DAY CALL (904) 354-3114. TTY: (904) 354-3958. 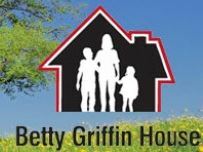 Help Now, Inc. provides temporary safe shelter for survivors of domestic abuse facing imminent danger. Help Now is committed to supporting individuals as they establish violence free living. 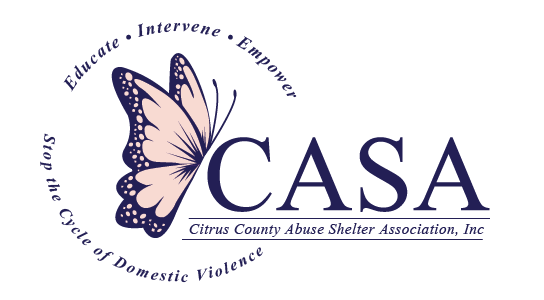 THE MISSION OF THE CITRUS COUNTY ABUSE SHELTER ASSOCIATION, INC. (CASA) IS TO HELP VICTIMS AND SURVIVORS OF DOMESTIC VIOLENCE BY PROVIDING SHELTER, SAFETY, INTERVENTION, AND EDUCATION, AND TO EDUCATE THE COMMUNITY FOR SOCIAL CHANGE. Abuse Counseling and Treatment, Inc. (ACT) is a private, not-for-profit agency committed to serving victims of domestic violence, sexual assault and human trafficking. With a commitment to excellence in our service to victims of domestic violence and sexual assault, Favor house actively work toward every intimate relationship to be violence free. Their goal is to offer people a single source of relatable, reliable information at any stage of their recovery journey.